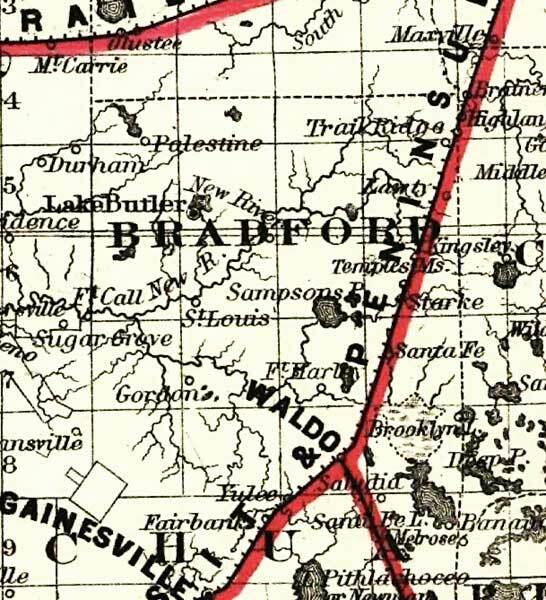 Description: This detail of a map of Florida covers Bradford County and vicinity and indicates drainage, cities and towns, township and county boundaries, railroads, and the 15-mile railroad land grant limits surrounding the track. The major water features of the detail include Lake Butler and New River. Some of the townships listed are Starke and Gordon.